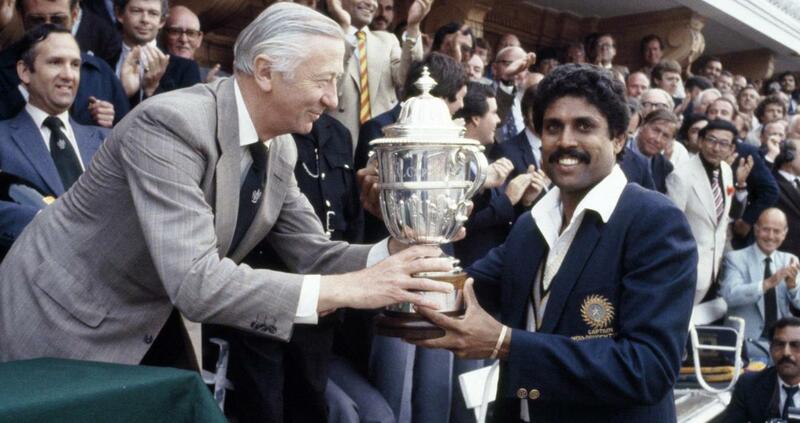 How The West Was Won: How the Axis of Power Shifted In World Cricket. In 2019 the most influential country in world cricket by the length of a boundary hit on the MCG, India who will have their men’s and women’s teams, touch down literally now to begin their short tours of New Zealand. Once upon a time though, for basically a century, it was England who ran the world game from their offices at the cricket ground whose name conjures up images of a higher power, Lord’s. But around the time the twentieth century ended and the twenty-first was in its infancy, India moved into the position of top dog or possibly more appropriately, kingmaker. There are two common threads that have prevailed right the way through the whole episode of the power transfer up to now: Television, by way of broadcasting and revenue, and World Cups. And the huge, associated bargaining power that came with the subcontinent nations suddenly winning World Cups. Not to mention a game you may just about have heard of, Twenty20, which was an ever-so slight influence in the change to the world cricketing order. Powerful officials were naturally a defining factor as well. Can I be perfectly clear- there is no way I would have had a hope of exact recall about some of the following happenings that led to England losing their vice-like grip on control of cricket and India usurping them as quasi-ruler. At least 75-80% of what I present below was only learnt through a re-read of a superb chapter called ‘The Rupee Takeaway’ in, to my eyes, a seminal book ‘The Spirit of the Game: How Sport made the Modern World’- Mihir Bose (Constable, 2012). The few direct quotes I used from Mihir Bose either have his name in brackets, or I directly mention his name. In fact this entire piece wouldn’t exist without frequent reference to that aforementioned Bose chapter. Mark down an early summer’s evening, June 25th, 1983, as the date when cricket’s administrative and economic balance of power as we have come to know it, began in its embryonic form what we now can see in hindsight was an inexorable shift eastwards. A shift that is almost certainly permanent due to factors of population, money, fan-base, and most crucially, broadcasting. That June 25 was the late afternoon and evening on which India jolted world cricket with a sharp shock in comfortably defeating the nigh on-invincible ‘Calypso Kings’, the West Indies in the World Cup Final at Lord’s, that stately old home of English cricket. It was to be the last of the 60-over innings World Cup finals, and it was the match that brought a nation of close to a billion into realising it could become a consistent force among the top-tier nations. In the words of their leader at the time, Indira Gandhi: ‘India can do it’. Mihir Bose related that among the millions of impressionable kids watching the live, but extremely grainy TV pictures as the innocuous-looking medium-pace bowling of Madan Lal and Mohinder Armanath tore out the West Indies for a paltry 140, were a pair of awestruck ten year-olds named Sachin Tendulkar and Rahul Dravid. Two years later in Australia in an unofficial World Championship of Cricket- an extension on the regular, annual tri-nation World Series Cup; to show that 1983 wasn’t a one-off, got lucky event, they won again from among the seven test-playing nations. For good measure they hammered their old rivals Pakistan in the final. Only this time the older guard were outshone by the dashers (for those days) at the top of the batting order, Ravi Shastri and more tellingly, Kris Srikkanth. Aided and abetted on the bowling side by the spin twin guile of Shastri and one of the greatest player names in all of cricket, Laxman Sivaramakrishnan. Buoyed by that initial 1983 victory, the Indian Cricket Board began to see the potential for generating money from lucrative sponsorships, and with support from Pakistan, and the backing of the giant tobacco company, Wills, the two nations were successful in winning the rights to host the 1987 World Cup, the first time it had ever been held outside of England. Do not underestimate how significant that step was. Think ‘huge’, and go bigger. Anecdotally, it was akin to ‘Thanks for the new wings, old colonial ruler; now watch us fly’.